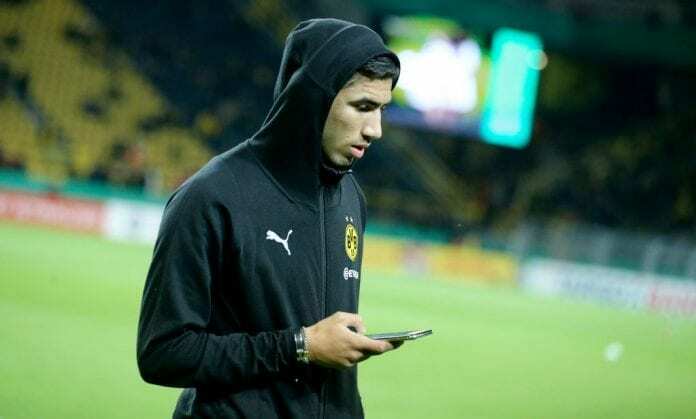 Borussia Dortmund player Achraf Hakimi discussed his time at Real Madrid and the chances he had to shine if he was still at the club. He wants his former club to rise up by dusting off their unimpressive performance this season. “For us, these kinds of training camps, at the halfway point in the season are a bit strange”. “I speak regularly with a number of Real Madrid players, I watched the game yesterday; I hope the bad run they’re in ends soon and they get back to winning ways”. “Now, I am getting the kind of continuity which I needed. I feel more mature, more important to the team and more of a player”. “The Bundesliga is a tough league and very evenly fought, the teams are all at a similar level”. “Odriozola is a great player who can help Real Madrid a lot; Vinicius is a brilliant playerr”. Returning to Real Madrid: “I have to go back to Madrid in 2020 but a lot of things can happen in two years”. “Sometimes football has a very short memory. Marcelo doesn’t deserve the criticism he’s received. He’s given a lot to Real Madrid”.